← I remember my Dad ….. I used to own shop in Second Life and really make money from there. Well the money is not that much compare to time and effort i put in to learn the skill. I never learn about design graphic especially using computer. I learnt them myself by asking around, browsing on the web and attend the class inside the Second Life. By the way for those of you who does not know what is Second Life, click here. It is a 3D virtual world games, almost the same like SIMS … where we can have a real time interactive role playing games inside it. Some are going for combat/war games which I did in the beginning, and some goes for social connection which I never understand what the fun about it … :p. At the end I end up becoming a content creator inside the Second Life. I design, create and sell clothes and furnitures including houses …. There are so much thing to do just to sell one piece of item. You need to come up with the idea, then build it inside the game using prims/object, after that you need to paint them or texture them. When come to painting or texturing them I need to work a lot on graphic manipulation tools outside the game. Some use photoshop, but i use GIMP which is Free ….. once you had the product done, you need to make the picture for the ads …. another GIMP work, then put all the product inside a box with the picture of the ads on the box and set them for sale at my virtual shop. LOL … it was a long story! I even have an island that I landscape myself, it was a really beautiful island alone in the wide deep blue sea. 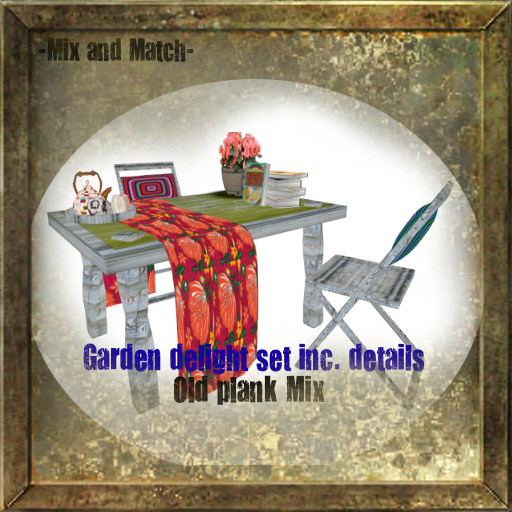 I love rusty, bohemian, shabby and a bit grunge style inside there with so many bright colors as the essential touch on my design. I had some loyal customer inside … and make money that I can pay the rent for my island and buy some tools inside. the name of my brand is *Mix and Match* probably you remember it …. I reached the goal of having about 2000 members under my shop. It was a busy days that time, I have to run that brand just like running a company. Attending customer’s inquiry, creating new releases for product, joining the campaign for marketing my product, budgeting etc. I hardly have time to socialize inside the game, most of the time when I got online is for work …. ! It was a good years of fun and experience creating new stuffs almost every day. I miss the fun of it. But I had to let go of the games, because it become too BIG to handle …. and the competition on the market is getting harder on top of that a lot of copy bot was happening around second life. people using the special script inside the game, copying and stealing creator’s item and resell it. it was really sad fact of Second Life … so I gave it up and never logged off for almost 1 year now. 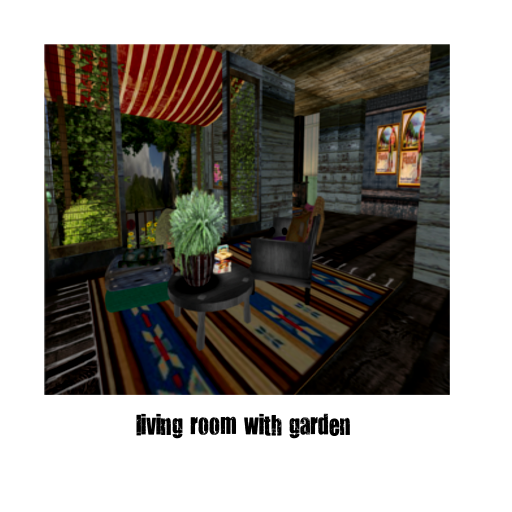 I posted one video of my fashion creation inside the second life on you tube. 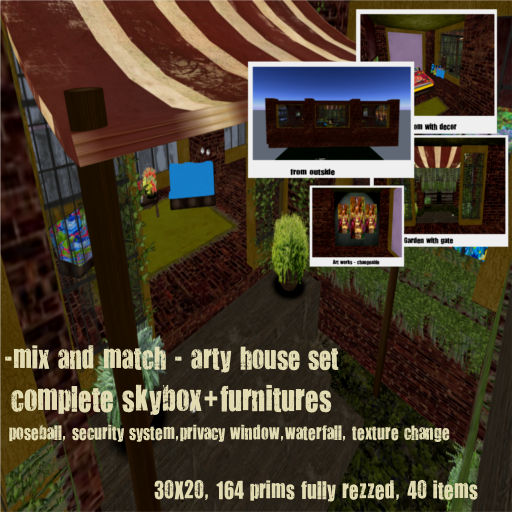 You might want to see it again … here … I create almost everything in Second Life, furnitures, houses, plants, flowers, waterfall, forest, garden and for the avatar/character … i create for them shape, skin/face/make up, hair, clothes, shoes, belt, bags, accessories…. hahahaha you name it, sometimes I have to work with 300 object/small object to create one piece of ring! and color them one by one … off course with digital technology … :p and here is the blog for second life shop, here and here. Now you know how fun it is designing things! But surely…in real life it is much harder…especially when designing houses and buildings hehehe. That is why i leave this responsibility to hubby LOL. Yes! off course a lot more calculation and working with other people to get it done is the hardest part. over here i just do it all myself hahaahahahaha. One man show!